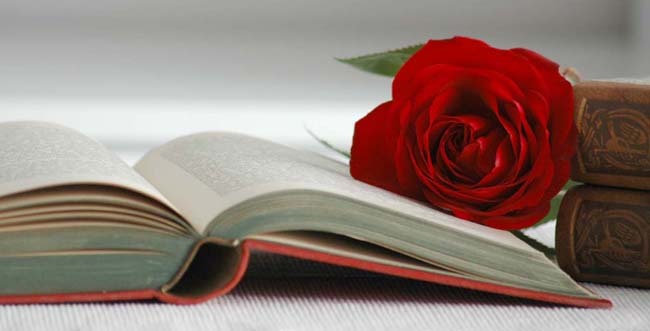 Xenia Olivia: Happy Sant Jordi! Barcelona is at its best today, as are many other Catalan cities. 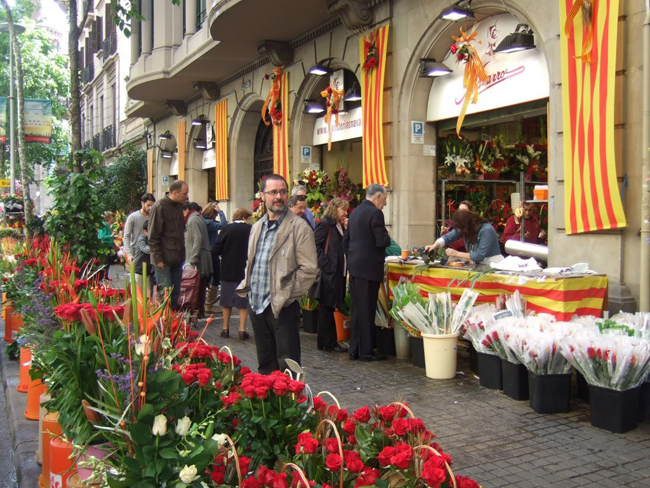 If you happen to be visiting Catalonia on April 23, you will be amazed, because the whole city is transformed and filled up with little stands on the street selling books and roses. The streets are crowded, too, specially around the city center. It is a lovely Catalan tradition, and the Catalan flag is everywhere to be seen. On this day, authors spend the whole day signing their books to their readers, how cool is that! I love getting to meet my favorite authors and having a minute to tell them how much I enjoyed their books. I can't tell you how much I miss Catalonia on this day. It's my fourth year spending the day in Hong Kong, and I get really home sick :( I've been watching Catalan TV online today for the whole day, because there's a special on Sant Jordi for the whole day, showing the city around and letting everyone know what's going on! J got me a book and a red rose, and I got him a book to learn Catalan. I love to keep this tradition even if I'm so far away from home! You can see the pics of our presents on my instagram! Nuevo post, look para montar en bici..¿Tienes el tuyo? Loving your style. Would you like to follow each other? Half a year to go for my wedding!